Discussion in 'PatsFans.com - Patriots Fan Forum' started by Snooky97, Nov 30, 2018. We would never trade James white right? I'm just thinking what BB could be up to. I certainly hope not White is the Model Patriot. I think a roster battle between Yeldon and Burkhead would be more likely personally. Edit: 3.5m dead money though so maybe not. Unless we want to carry 6 RBs Yeldon is not making our 53 man roster. I think DT's chances of signing here will be all about the contract. Remember this is a guy who's been making over $10MM/yr for several years now. It will be interesting, given his injury situation, to see what he is expecting from a new team. I can't see the Pats giving him anything CLOSE to $10MM coming off a mediocre season in Houston AND an achilles injury. I think a deal the Pats could live with would be a $5MM contract with incentives that could increase that number by about $3MM. 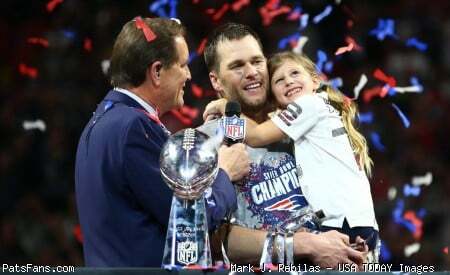 Of course if the Pats have their druthers, very little of that deal would be guaranteed. Early in the FA process, I wasn't at all interested in DT mostly because of what I expected his salary demands to be and his particular injury situation. But now a couple of months into FA, I'm thinking his salary demands have become more realistic and it looks like he'll be ready be ready to play prior to TC. I know WE belittle him for being "soft". BELIEVE me, no one who plays in the NFL is "soft". But the fact remains he has been a productive receiver for many years on a team we all hate (which COULD account for at least some of the rancor. ). Josh clearly liked him then, and probably still does. So at this point, I'd be OK with an incentive laden deal with very little guaranteed. Like ASJ, his signing would take some of the urgency to spend a lot on a WR in the draft, and rather let the draft come to them as far as a WR goes. Yeldon would be a decent signing IF Hill is really out of the picture. He's been a solid contributor for the Jags over the years. His signing would pretty much eliminate us drafting a RB until very late, if at all. 5 mill is a lot of money for a guy that tore his Achilles in December and seemingly has no market. Unless he's just not going to play period if he doesn't get paid. I agree and I have to think Burkhead would have been the most vulnerable, although less sure about that after seeing his contract. I like Burkhead but he has had injury issues and BB has stressed the importance of availability. But that’s a big dead cap hit. Maybe the Yeldon visit was nothing more than due diligence ahead of any injury to a RB in the future. Does anyone think Thomas might be wanted as a bridge to Josh Gordon. Keep him on the roster until Gordon returns? I'd guess 2-2.5 if he signs. Thomas is coming off a bad injury though and still the possibility he's disciplined as well. Might not be a whole lot from him first 6-8 games. Yeah I’m not sure of his injury status. Presumably if they signed him, that would be resolved. He'll be 32 by the end of the year. He has a shot at one more decent payday and I don't think he will get that this year. He definitely needs us more than we need him. This is really the spot for him. I think there is a reasonable chance Gordon is back on the field before Thomas is even close to being himself. Devlin is a fb so he doesn’t enter into the RBs equation. Bolden really is a special trainer and doesn’t impact the rb equation as more than an emergency guy. In ither words what we keep at RB has nothing to do with devlin being of not being on the roster and almost nothing to do with bolden being or not being in the roster. If bb feels he will need someone to play significant snaps beyond Michel, Burkehead and white he will sign another run rather than rely on bolden or devlin to get them. I wouldn't mind him on the Patriots. Then there wouldn’t be much point in signing him. Not exactly the right thread for this, but offseason pro personnel roster building related. As some have speculated, Mike “Robert Kraft’s 5th son” Reiss’ out of left field speculation of, “now that they missed out on Humphries, maybe the Pats would try to trade for someone like Sterling Shepard,” wasn’t just him spitballing. If this article is true, Reiss knew something but couldn’t actually say it. Most of the "news leaks" come from agents these days and there are 4 words that EVERY agent knows will aid in getting their clients more money, and they are, "the Patriots are interested". Can't hate them for doing it, its their job. The fact is that since the Pats are clearly in the business of trying to upgrade their receiving corps, EVERY receiver in the league will be linked to them....whether its true or not. Wasn't there a report that the Patriots inquired with just about every team about available receivers? Besides, he fit the Patriots' profile of a player on the last season of their contract on a team that probably isn't going anywhere, so it's not like Reiss was the only one talking about him. Why? If the value is there in terms of contract.